Global warming leads to changes in endocrine system and the human brain altering gender identity. Climate change and global warming leads to increased endosymbiotic archaeal growth. The actinidic archaea are cholesterol catabolizing and leads to low levels of testosterone and estrogen. This leads on to asexual features and low reproductive rates of the Neanderthal population. The actinidic archaea has cholesterol catabolising enzymes generating more of testosterone than estrogens. This contributes to estrogen deficiency and testosterone overactivity. The Neanderthal population is hypermales with concommitant right hemispheric dominance and cerebellar dominance. Testosterone suppresses left hemispheric function. The high testosterone levels in Neanderthals contribute to a bigger brain. The Neanderthals males as well as females had a higher level of testosterone contributing to gender equality and gender neutral states. There was group identity and group motherhood with no differences between roles of both males and females. This also resulted in matrilinearity. 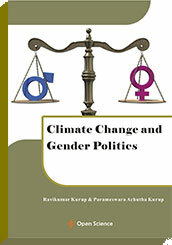 Climate change can modulate gender politics.